-- I downloaded your PINK NOISE 60 minute mp3 and it has been instrumental in saving my sanity! --This thing is a lifesaver! It stops Donovan's crying and he's back to sleep in a few minutes, and it keeps him from waking up from random noises in my apartment. Shop with confidence. All transactions handled through PayPal's ultra-secure server! Babies love WHITE NOISE . Welcome to The WHITE NOISE ALBUM.com! 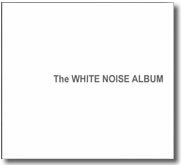 What is The WHITE NOISE ALBUM? It's a recording of the highest quality, purest white noise. And, it's the most affordable white noise CD/MP3 available! The original WHITE NOISE solution! Pure, Powerful WHITE NOISE. Proffessionaly mastered in an all-digital studio The WHITE NOISE ALBUM is the best solution for calming fussy or crying babies, blocking out snoring or traffic noise, and improving your concentration. As powerful as WHITE NOISE, but gentler. The Nature Sessions are a combination of pure, powerful WHITE NOISE carefully mixed with natural sounds that enhance the sound-masking experience. In "Gentle Rain" the sound of a light rainstorm mixed with WHITE NOISE creates the perfect soothing environment. Some doctors believe that babies can experience issues adjusting to new sounds in their first few months of life. There's a lot of stimuli outside of Mom's body, which might explain why some babies tend to cry and cry. A way to help a baby through this time try is to use a white noise CD or MP3 which imitate the sound blood makes in the mother's womb. Gentle, constant white noise soothes the baby, and as an added bonus it blocks out external noises that might be startling and lead to crying. 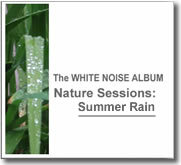 The WHITE NOISE ALBUM is easy and safe to to use for all ages, and for all kinds of noise-related complaints. It currently comes in three formats: Short Program (20 min.) MP3 ($3.99), Long Program (60 min.) MP3 ($4.99), Long Program (60 min.) CD ($6.99). For just a few dollars you can finally enjoy peace and quiet! You can soothe your baby, get a good night's sleep and say goodbye to annoying street noise while you're woking or studying. Imagine being able to block out distracting conversations, but not get distracted yourself by listening to music! use it in the office, to block out noise and conversations from other workers. use it in the library to enhance your focus. use it to keep your baby calm and content. Why purchase a "white noise machine" which can run well over $50, when you can have all of the same benefits for under $5! And if you currently have a white noise machine, The WHITE NOISE ALBUM provides the perfect travel version of a white noise machine! Make sure you have a copy on your iPod or other MP3 player, and you're sure to find a million uses for it! The adjective "white" is used to describe this type of noise in a similar way the word "white" is used to describe "white light". White light is light that is made up of all of the different colors (frequencies) of light combined together. In the same way, white noise is a combination of all of the different frequencies of sound. You can think of white noise as 20,000 tones all playing at the same time. Because white noise contains all frequencies, it is excellent at masking other sounds. If you are in a hotel and voices from the room next-door are leaking into your room, you might turn on a fan to drown out the voices. The fan produces a good approximation of white noise. Why does that work? Why does white noise drown out voices? PINK NOISE is identical to WHITE NOISE except the higher frequencies have been turned down. This creates a kind of noise that sounds a little lower in pitch, and some people find it to be more soothing than white noise. 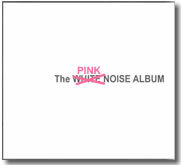 If you find the sound of pure WHITE NOISE to be too much, download a copy of The PINK NOISE ALBUM here! Available in a variety of formats!